Albinism is a congenital disorder which affects the enzyme tyrosinase involved in melanin productions. Due to melanin disorder it leaves little or no color on skin, hair and eyes. 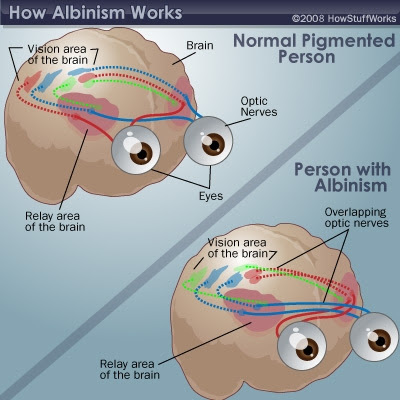 Albinism in eyes leads to visual defects such as photophobia, astigmatism and nystagmus. Albinism in skin leads to skin cancer and other skin disorders. 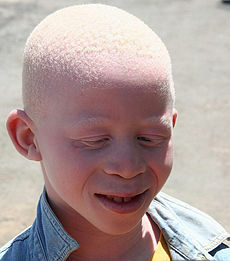 Albinism is also called as achromia. Absence of color in hair, skin and in iris of eyes. 1. To protect your skin from sunburn, you can cover up the skin with clothes and other sun screen cream to prevent ultraviolet rays to not to enter. 2. To protect your eyes to avoid visual defects, you can go for sun glasses. Surgery are also done for photophobia, astigmatism and nystagmus. 3. 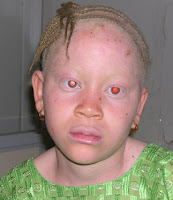 Protect yourself from disease and disorder caused by albinism.